Edited 2 time(s). Last edit at 11/08/2017 20:43 by Grockle. It always seems sensible that we welcome a club for home games in more than 1 format at the same time to save time and money. It rarely happens these days. 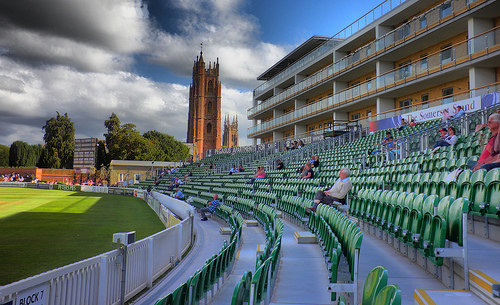 At 2:30 this afternoon we start 5 days against the Browncaps with the T20 followed by the CC1 game from tomorrow. A friend of mine saw the visitors during the week and defined them as 'rubbish' at this format. I suppose we'll see quite soon at our 18th 'sold out' home short format game. I'm quite looking forward to seeing some Gimblett Hill stalwarts tomorrow who don't travel for the T20's. It has been a while people. Edited 3 time(s). Last edit at 06/08/2017 14:20 by Grockle. Leask, Bess and Trigger lose out as we are unchanged from Friday. To judge from the commentary it sounds as if Leask or Bess might have been a good pick, perhaps instead of Tim G.
158 needed. Interesting score on our pitch. Hope Steve and Tom get a bit of a belt before tomorrow and that Johann keeps the momentum going with some over the buildings belts. But you never know..... 8 an over. Nothing hopeful for Steve and they have to do it without Johann today if at all. Edited 1 time(s). Last edit at 06/08/2017 16:15 by Grockle. Yep. Doesn't look like anyone us going to be celebrating much today except our 'told you so' crowd. We don't even seem to be losing wickets at the proper run rate. Hildreth and Roelof giving it a good go now though! Edited 1 time(s). Last edit at 06/08/2017 16:52 by Rod1883. Yeah, I'm in the Grockle "told you so crowd", and I will tell you that we are going to win this. Well, what a second half to the innings. Well done lads, sorry I doubted you there for a moment! Well, that worked out pretty satisfactorily in the end. Oh me of little faith! Well done James once again with Craig offering excellent back-up. Seems our Surrey friends lost their composure a little. Edited 1 time(s). Last edit at 06/08/2017 17:12 by Grockle. I told you we were going to beat the Brown Caps – never in doubt. Interesting thread from top to bottom. Looks like a good win, in second place after today's win. A good consistent campaign from James and Craig. Some others will still have questions over them tomorrow morning. Steve has shown some smatterings but is he more in tune now. Marcus has had nothing for quite a while and Tom is still a doubt. Lewis has answered some questions asked of him but any of the young players introduced before the short format stuff will all be back at the starting point again. Lots of anticipation about the game on Monday now. Wow, that must've been exciting if everyone stayed. 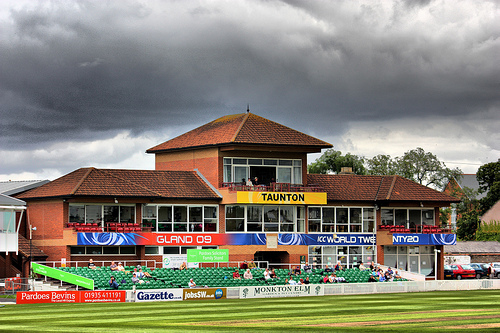 There's nothing like a thrilling match at Taunton for getting the crowd going and I bet they just loved this one. I can only imagine that we are trying to build for the future when we don't play Tregs. Spinners, I think, the primary key to this win. Strong efforts from both VDM and Max. Plus, of course, Timmy G getting rid of Finch was potentially pivotal. I don't approve, though, of picking Tom A for this format. I think he's just been shoehorned in to try to "re-integrate him," with the first team, rather than because he has any real aptitude for the format. 2) More importantly, in the context of what they are trying to achieve with Tom, it risks undermining his confidence which may have been somewhat restored by dint of runs made in the seconds. Incidentally, in terms of confidence, I was thinking that S Davies had finally found decent form, but then he's promptly put successive ducks on the board in the last two. A good score from Hildreth so that should help with his confidence ahead of tomorrow. It already looks like there will be results in all three other games in this round, making it even more imperative that we beat the Brown Caps in the key fixture that starts tomorrow. SCCC site says Lewis won't play any further four day games this year ! Of course, his well being must come first and I hope he can get the treatment he needs soon, but we needed that news like a hole in the head. Jamie also still out, which is disappointing. Jim Allenby is in the squad, despite (according to him) being told he won't/is most unlikely feature next season, whilst PT isn't even mentioned. Tom recalled as Captain. Wish him well, but we surely have a mountain to climb tomorrow and for the rest of the season. Edited 1 time(s). Last edit at 06/08/2017 18:19 by Grizzzly. As for the turn-around in the second half of our innings? Let's face it, we have form for doing this at home to Surrey and they have form for snatching defeat from the jaws of victory here. 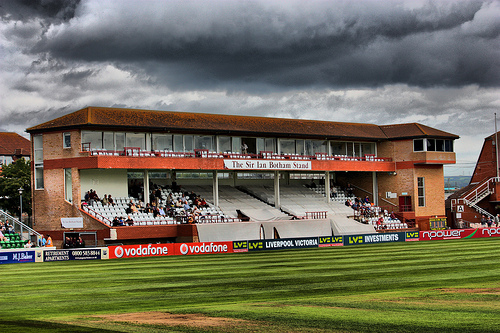 Indeed, that's the third successive occasion, in three different formats in games at Taunton that Surrey have appeared to be on top in the decisive innings of a match, and the Surrey record in such games reads "played three, lost three." Roelof an important part of the turn-around in consecutive matches vs the Brown Caps. Awful news viz LG - truly dreadful. They must hate the sight of RvdM walking out. 201 runs against them this season. Will he walk out again tomorrow?. He turned this game by the 8th over I didn't think we had enough to turn it but keep forgetting how good Craig can be when he gets his eye in. James has haf a good T20 up to now. 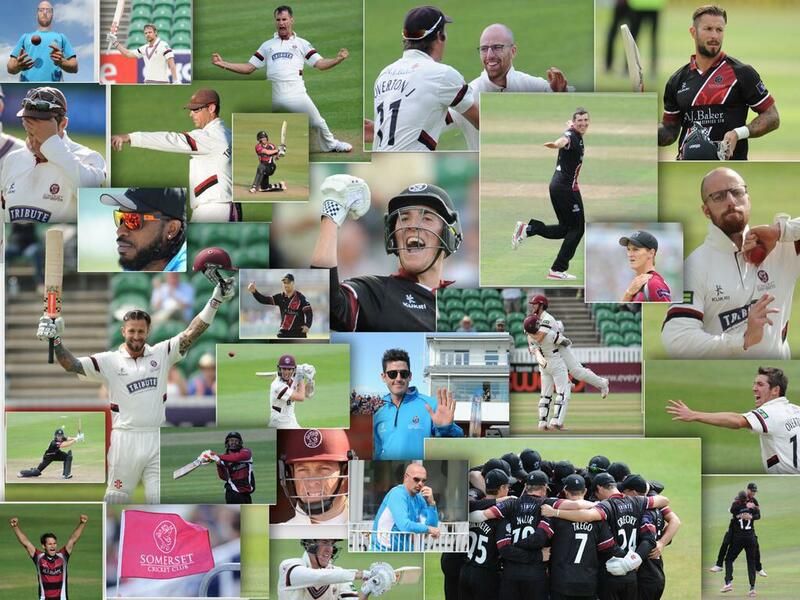 Marcus Trescothick, Eddie Byrom, Tim Rouse, James Hildreth, Tom Abell (c), Steve Davies (wk), Jim Allenby, Craig Overton, Roelof van der Merwe, Dom Bess, Jack Leach, Tim Groenewald, Paul van Meekeren. I was all for picking LG at six and not taking the gamble with just a two front-line seamer attack, even if we do succeed in producing a spinning top. But with LG out and Peter Trego not available for selection in this squad, I've elected to rely on Tom as the third seamer, rather than Jim. I suspect that what Matthew will actually do is leave Tim Rouse out, bat Tom at three and play Jim at six. But Jim has demonstrated often enough, for me, that he's not a top six batsman at CC1 level. The other option is a really long lower order in which Craig/Roelof bat six and seven and then the Meerkat can be included - interesting to note that he appears, now, to have moved ahead of Josh Davey. With Josh out of contract at season's end, a poor sign indeed for him, that he can't get in the squad when both LG and JO are out. We must hope that Jamie will *finally* be fit when Chelmsford rolls around. I didn't see that coming at 47-5. Well done to vdM, Cove and - especially - JH. I agree with AG about not picking Abell in this format. An out of form hitter has a puncher's chance of hitting a few boundaries, but I can't see a touch player being able to recover form in the frenzied atmosphere of a T20 match. JH has amply disproved, this season, that he is not a T20 player. Having to go in without either Lewis or Jamie is distinctly bad news, but not insuperable. Also something of an added inducement to opt for a spin-friendly wicket. I agree with AG's XI, given the 14 we have to choose from. Even if choosing from the full squad I would probably go for the same XI, desperately sad as I would be to leave out Peter Trego. One or two hypotheticals which I very much hope don't come to pass - suppose Tom doesn't get runs in either innings of this match, do we keep him for the next one? And if not, who captains in Lewis' absence? And if SD doesn't either, what then? I have seen no updates on Jamie's situation on the SCCC website, has anyone any idea how he's progressing? Is this the greatest number of question marks ever seen in a Grockles post? Jamie has been going through fitness training, he told me he was bored not playing. Well if he's nearly right then he, surely, will be ready for Chelmsford. I imagine fitness training but not playing is, indeed, utterly mind-numbing. Personally I would have put Tom Abell on 'gardening leave' until the end of the season. He seems to be a very pleasant young man, but being given the captaincy (whether he sought it or not) before having established himself over the past couple of seasons as a competent and consistent batter, has IMO been too much for him. From what I have seen of him, he has led the team very well, but for whatever reason his batting has declined embarrassingly. He has had a few reasonable scores in the Seconds, but from what I have gleaned he hasn't exactly set the world on fire. It's a parlous situation. If we play him, he will have to resume the captaincy. If he plays and fails again with the bat, it can only further damage his state of mind. Should he play, and score buckets full of runs and lead the side well, then all is well. But is he up to such pressure especially as we are desperately fighting relegation? In an ideal world, I would say get yourself ready physically, technically and mentally for 2018. Whatever Division we are in next year (and I can't envisage it being anything other than Div. 2) the club should rally round to help him become the best player he can be, and if this means finding someone else to lead the side next year, then that is what will have to happen. But, as we all know, we do not live in an ideal world. Gregory out is an issue on more than one level but you have to work with what you have I suppose. Picking Tom today seemed to make no real sense as Wickham suggests, getting runs in a chase like that isn't real prep for anything other than getting runs in a chase. In the end it became no prep at all if they expect to pick him tomorrow. We may need our new international to come up with something. Anyone got any news? 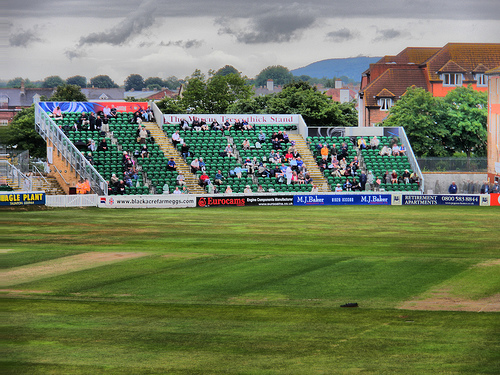 If I can make the buses and hobble into Taunton I'll see what I can get from people at the ground tomorrow. 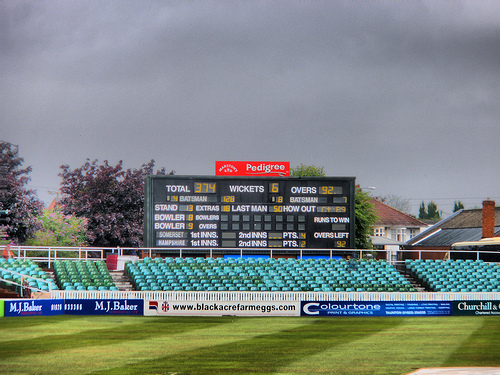 We are still in the T20 with a significant shout but tomorrow is the ONLY important game in the next week. Our one objective in 2017 is to remain in CC1. I'm going to leave this here as the CC1 thread as well. If I can get into the ground this week I will put a frontpage on it for that game. Please keep stuff on this thread. I'll simply merge any other threads into this one. Edited 1 time(s). Last edit at 06/08/2017 20:01 by Grockle.